Having a bathtub in our bathrooms wouldn’t just make it luxurious and sophisticated but it will allow us to take a bath with full relaxation and comfort. Bathtubs also come in different types and shapes. What you choose may have an impact on the look of your bathroom as well as your comfort while bathing in it. But what we are about to show you will surely make you wanna jump in it to get the kind of relaxation you had always been dreaming of! 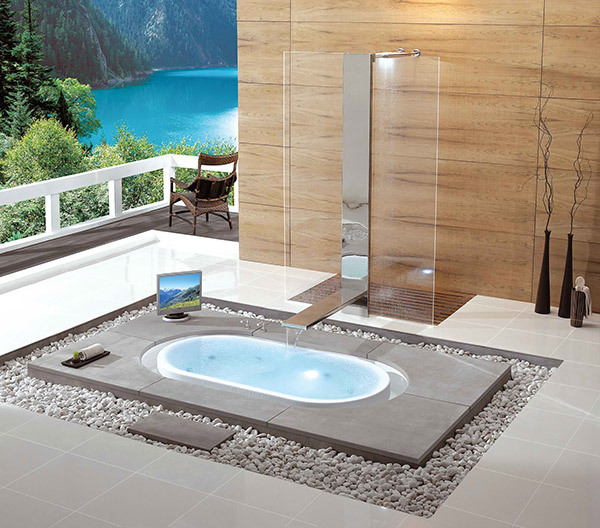 Today, we will feature some bathtubs from KÄSCH which is an internationally renowned manufacturer of exclusive acrylic bathtubs and whirlpools. Its designs of bathtubs and whirlpools deliver maximum relaxation and bathing enjoyment just like the Overflow Collection of bathtubs that we will showcase in this post. I’m sure you’d be captivated with what you are about to see! 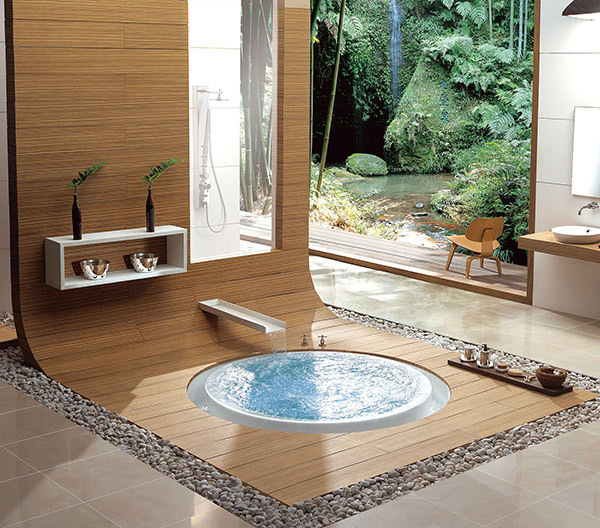 CHI is an award winning whirlpool bathtub with rounded corners in a square form giving a soft and fashionable design. This one obviously is trend-oriented! 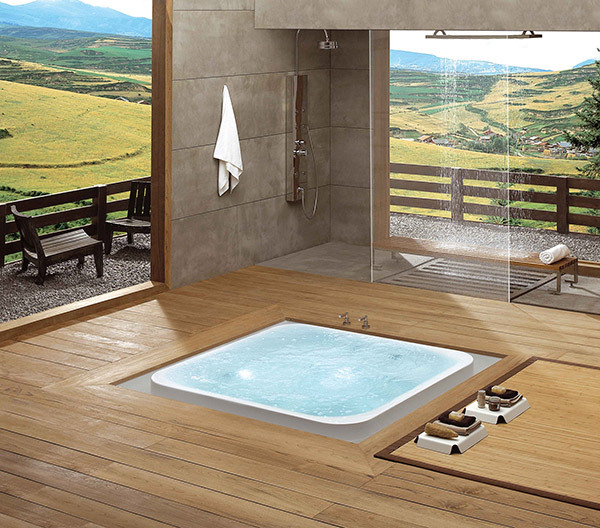 A spacious bathtub with a timeless design equipped with two sharp and two rounded corners. The Avant-garde and comfortable design of Float would be sought after by anyone! Made from simple materials like stone, cement, glass and aluminum, this beautiful whirlpool bathtub called Lake has a visually enchanting design. Oriental shows a combination of wood that awakens a feeling of a symbiosis of energy and gentleness. 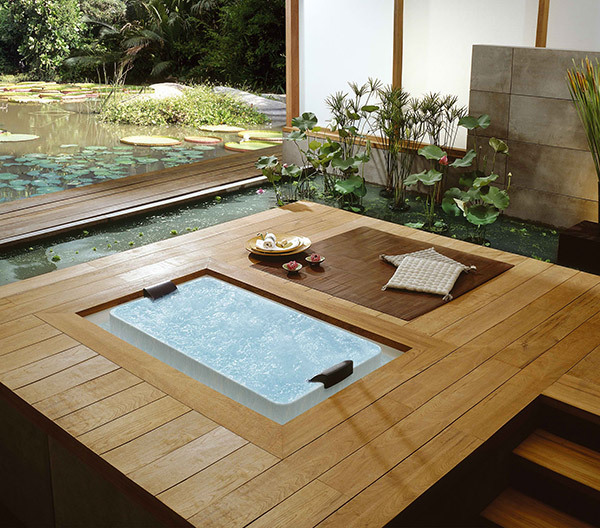 It would be nice to dip into this round tub! If you want a bathtub with straight lines, this one is the perfect one for you. The Pond bathtub has a striking wood edging that matches well with it. Wish has a fascinating quiet elliptical form featuring an unobtrusive elegance with a hint of luxury. Told you these are breathtaking and very much inviting! 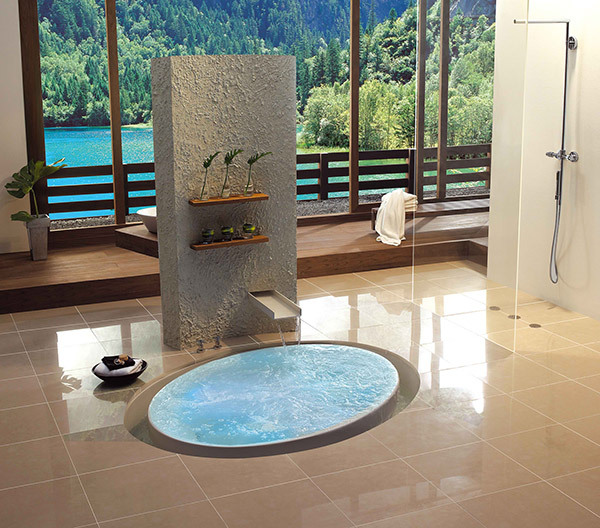 Käsch never fails to give its customers a high quality bathtub. Well, who wouldn’t want to have these bathtubs? I’m sure you want one too!